I’ve been on a rocky road of continuous self developing and self discovery for a good number of years. And during these years I thought to myself many times why good things come so easy to some people and why so difficult for others. I was in the second group, always struggling. Whatever I wanted in my life I have to get it in the hard way. The feeling of “comparison” myself to others is left behind now, once I became more and more confident that I’m on the right path to be what I have always meant to be. 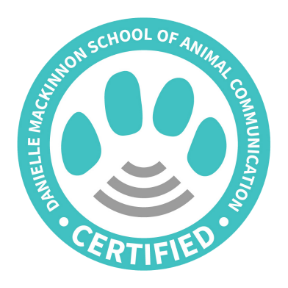 Last month my dream became true – I became an Animal Communicator. I can’t express in writing the feelings I have experienced while studying and working with animals and their people. It “changed my life” in so many ways. And you may wonder how it changed my life? Everyone who has searched their soul for some time, they may know that feeling when finally a lot of things started to make sense in their lives. It made sense for me as well, and what a relief it is when you have those “aha” moments!! And it all started when I opened up, connected and deciphered what my beloved dog have been trying for many years to show me, to guide me to what my heart really beats for – my love for animals. And by studying intuitive animal communication, I end up knowing myself better, self-develop in a direction that is was hidden inside my soul for so long. The reason why was hidden it’s a different story, what is important was to journey! 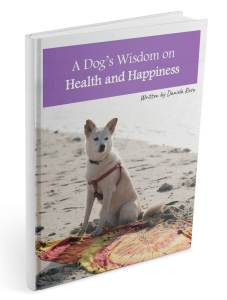 This journey brought enormous joy and happiness into my life, a journey where I can be the translator of incredible messages, lessons that animals have for their humans. 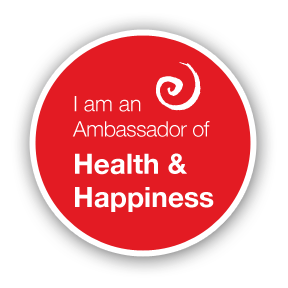 This is my first blog about the start of a new chapter of my life, re-introducing myself to my tribe who knows me for some time as health coach and yoga lover. This is my new me, an intuitive animal communicator on a new journey to heart to heart connections with animals and their people. It’s never too late to follow your dreams! As long as you are not losing sight of what makes you have happy, trust me or lets better say trust your intuition that you will always find your way to be what you are suppose to be! Its said that if you never did something crazy in your life you never followed your heart. I never felt doing something crazy when I followed my heart and studied Animal Communication. And I never felt vulnerable in sharing my gift to the world as I’m strongly convinced and I strongly believe that I am being finally “me”. This blog is aimed to be an interactive one, where I can reveal the joy, peace, love and wisdom through intuitive conversations with fellow beings of Nature. Looking forward for as many animal lovers to respond to this invitation and step into this intuitive journey together with your animals, share with me your experiences with animals, with nature…..all the excitement that communication with animals brings in our lives and learn from all these memorable moments.